onboard NX again and we are now heading for Bergen, and then we are heading for Wescon at ølensvåg and drydocking. Why did they remove the ballast in the first place??? Will it be replaced now? She always used to roll very nicely before, straightened up right away and stayed there. Clipper - what is a "deck pizza"? I must have missed something somewhere. Oh dear, I was afraid I might need to explain. "Deck Pizza" is an adaptation of "Pavement Pizza" - a reference to the fact that rough seas can make people feel rather unwell. 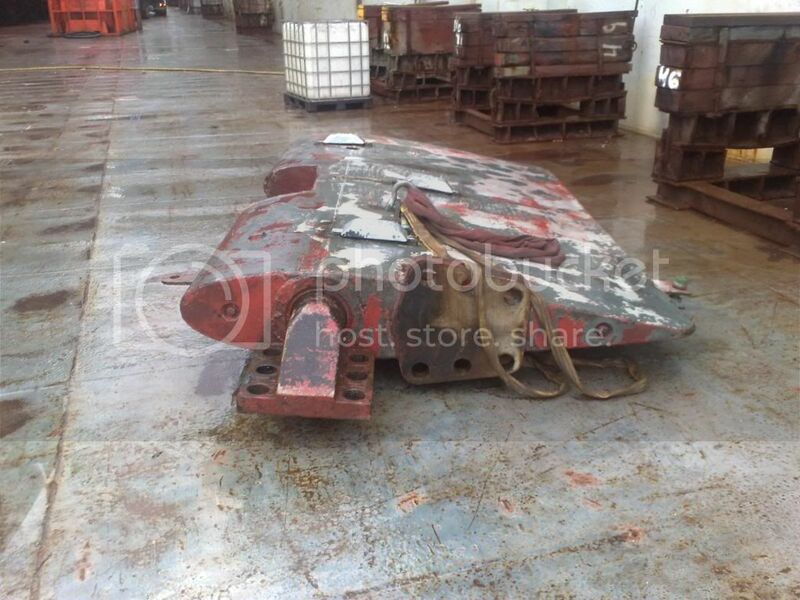 We never remove ballast, all the tanks are full. 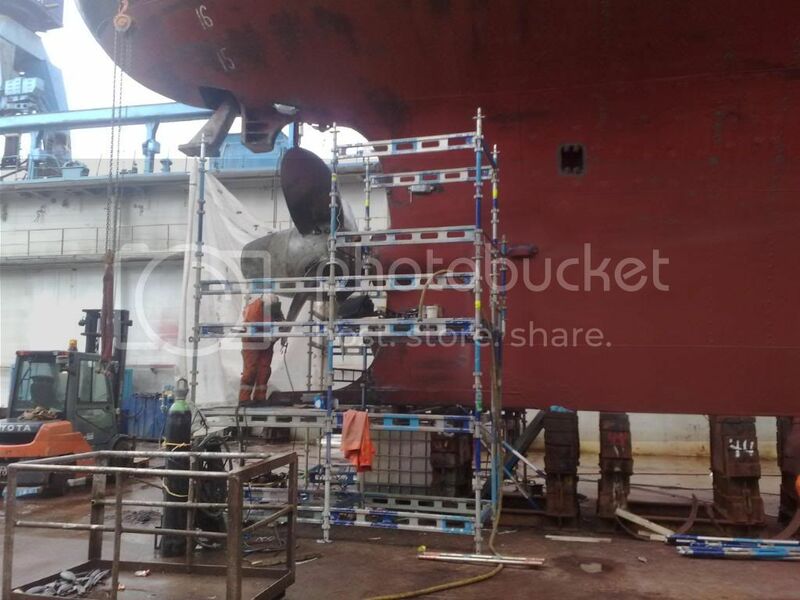 But when we are in drydock we have to pump out the water for tank inspections. Now I get confused: in another post earlier this year you mentioned that she had had ballast removed, and I believed that was why she rolls more now than before (?) But on all my trips before I never noticed that she rolled just because of a turn. Well - I hope to afford a trip this autumn when the waves are like those I've had before. Then I'll see if something changed since last time. Maybe you meant that she generally rolls a lot. Have not been on LO in heavy seas so can't tell the difference. But on all my trips before I never noticed that she rolled just because of a turn. Roll : An oscillatory rotational offset of a ship about its logitudinal axis, typically caused by wave action or the ship's motion through the water. Heel : A rotational offset of a ship about its logitudinal axis, to one side or the other, typically caused by wind or turning forces. Whereas heel can be regarded as a special case of roll (a single, long period, half-cycle oscillation), a surface ship will not normally roll due to a turn - at least not in the way "roll" is normally used. It will heel over (leaning outward from the centre of the turn), then come upright as the rudder is centered. This occurs because a surface ship's vertical center of gravity is above the point at which the turning force is applied (namely at the rudder). Submarines and some special hull forms (principally racing power boats) are different. If turning induces an oscillatory roll, as opposed to a heel, in Nordstjernen or any other large vessel then in my opinion it should be taken out of service until rectified. I used to work with the Royal Navy and Naval Architects. They taught me to be very pedantic. Wow. Great pictures, talfh!!! Thank you! Do you know, what all has to be done? Oh talf, that first photo is absolutely stunning. It would impress anyone as a photo with the light, the wet floor, the shape of the ship. But for all of us who call this a favourite and very special ship it is an utterly emotional image. She looks so proud but also so vulnerable. From a more engineering point of view, thank you also for the detailed photos, and like Ralf I would be interested to hear as much about the work in progress as you are able to tell us. 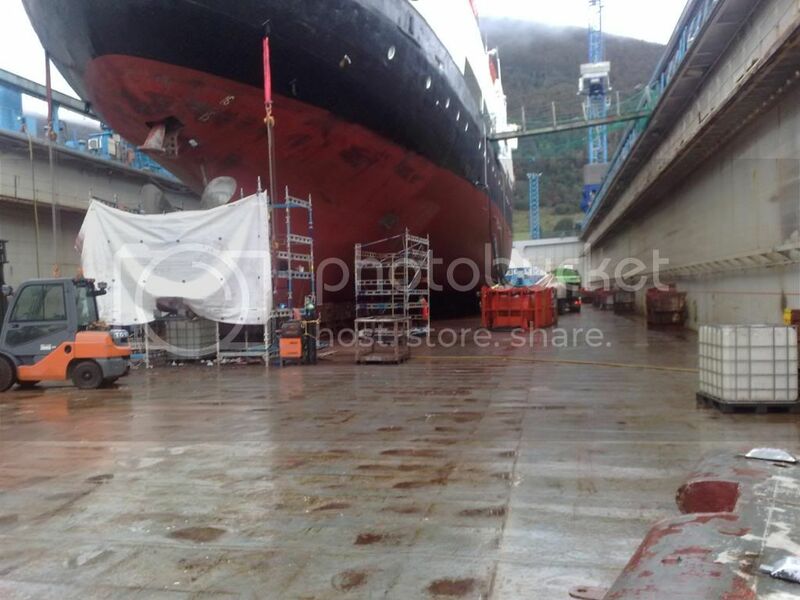 Thank you so very much for the pictures from drydock! 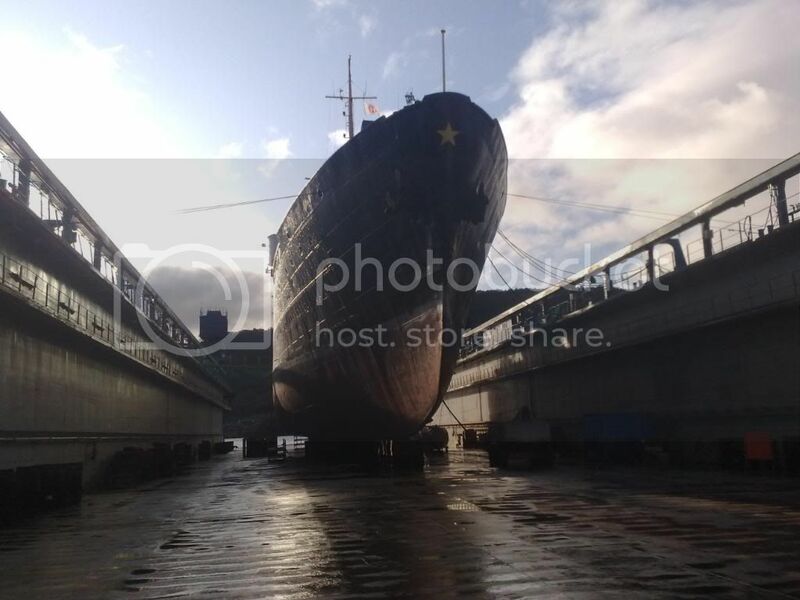 Love seeing what is beneath the water line of this old veteran: I don't think I've ever seen so many images from dry dock of these ships, so this is among my first. There is a lot of worke to be done, much more than we expected..
Changing of steel plates on the boat deck, a lot of work in the engine room, change of propeller shaft, bearings on the rudder and a whole lot of more work..
Wow Talfh! With SOLAS looming, I'm amazed Hurtigruten Group are prepared to make that sort of investment. But I am also very pleased they are doing so. Great pictures too. Despite being involved with shipbuilding for many yeas I never got that close to a dry dock. For me they were all either new builds or cruising around.